Product categories of AASHTO M247 Glass Beads, we are specialized manufacturers from China, AASHTO M247 Glass Beads, AASHTO M247 Reflective Traffic Glass Beads suppliers/factory, wholesale high-quality products of AASHTO M247 Road Marking Glass Beads R & D and manufacturing, we have the perfect after-sales service and technical support. Look forward to your cooperation! AASHTO M247 Glass Beads,we mainly manufactures Drop-on Glass Beads, prermix Glass Beads ,Blasting Glass Beads, Grinding Glass Beads and other reflective glass beads. 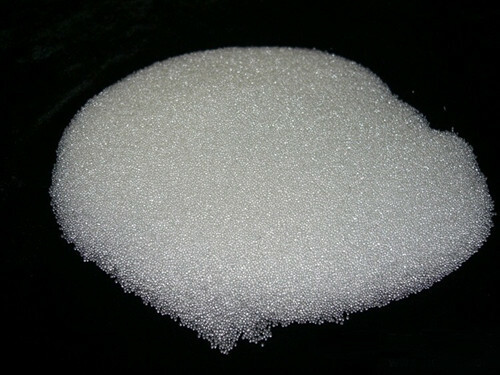 We can produce micro glass beads for road marking based on the standard of EN1423/1424, AASHTO M247, BS6088, JIS R3301,KS etc. these differents standards can meet different market for the road marking lines and traffic signs. Reflective Standard Type 1 Glass Beads,AASHTO Tpye 1, Glass Beads, Sand like texture. Same glass beads used on interstate, highway and local traffic lines.Makes paint reflective. Beads are sprinkled on top of the wet while it is still wet at a ratio of 6 pound beads per gallon of paint. roundness >= 80%. Refractive index is >= 1.51. Retroreflective highway signs and lane markers use special kinds of paints and materials. Most retroreflective paints and other pavement marking materials (PMM) contain many thousands of glass beads per square foot that are bonded to the highway with a strong binder. Instead of scattering light, as normal paints do, retroreflective paints containing glass beads turn the light around and send it back in the direction of your headlights.